There are a number of products that may help with plantar fasciitis. Wearing a sleeve, such as the FS6 Compression Foot Sleeve will support your foot and help to relieve pain. It's thin enough to wear under socks when you're active and you can also wear it while you're sleeping to help reduce morning heel pain. Painkillers such as paracetamol and ibuprofen will often ease the pain. An ice pack held to the foot for 15 -20 minutes may also help. 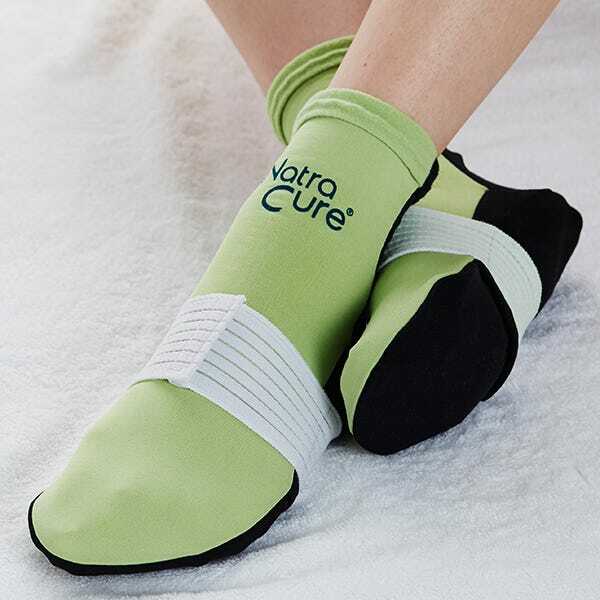 Alternatively, you could try NatraCure®Hot / Cold Plantar Fascia Relief Socks which use cold gel packs to help relieve pain. The socks also have a strap that allows you to customise the amount of arch support and fascia relief that you need. Click here to view our collection of products that you may find helpful if you have plantar fasciitis.